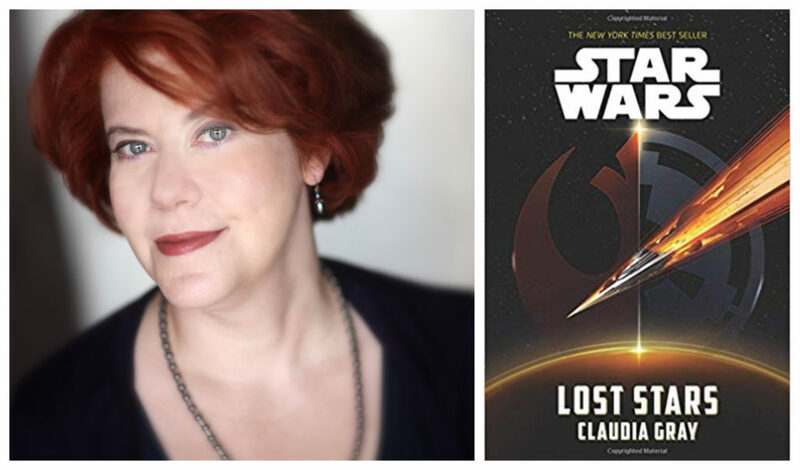 Claudia Gray has written several Star Wars stories including the books Lost Stars, Bloodline, Leia, Princess of Alderaan, and the upcoming Master & Apprentice. She also wrote the short story “Master and Apprentice” that appeared in the A New Hope anthology From a Certain Point of View. 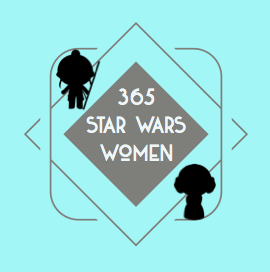 Claudia was kind enough to answer a few questions via email for 365 Days of Stars Wars Women. I get this question occasionally, and yet somehow I’m never used to how very, very old it makes me feel. I turned 7 the year Star Wars came out, and so I was part of the first wave of people who went to the movie theater with no idea of what to expect. And the entire country was in love with it—there were disco remixes of the theme music, you name it. 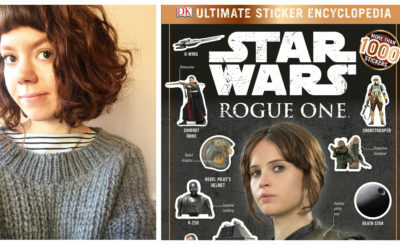 Of course that’s a very good age to fall in love with Star Wars! I really can’t remember a time when I didn’t have some of the toys, or liked thinking about the adventures. Maybe for that reason, it’s difficult for me to pinpoint any one or two exact elements that draw me to the GFFA; it’s been a part of my imagination from almost the very start. I can say, though, that it’s definitely more interesting than real life. That always helps. Did you read many Star Wars Expanded Universe (now Legends) books? If so any favorites? Yes, I read tons of the Legends books—in fact, I think I had read virtually all of them through the mid-1990s, and I still dipped in occasionally until about 1999—that’s when I started graduate school. My schedule got so much busier, and I just couldn’t stay on top of it all anymore. For a while I only kept up with the Jedi Academy books with Qui-Gon and Obi-Wan (foreshadowing alert), and then I drifted off. It was never for lack of loving Star Wars, and never because I wasn’t reading stuff I enjoyed. But other fandoms demanded their due…as did real life, at least periodically. Favorites included Timothy Zahn’s Thrawn trilogy, of course, A.C. Crispin’s young Han Solo trilogy, and those Jedi Academy books I mentioned before. Were you actively campaigning to write a Star Wars book before you were hired to write Lost Stars or was that a complete surprise to you? Can you share the moment you received the news? No, I wasn’t campaigning. I hadn’t even known the publishing side was ramping up again. (I *had* known Legends was being reset, but I assumed that was going to happen from the moment I learned Disney had bought the rights. There was just no way they were going to put out an Episode VII that couldn’t be understood by anyone who hadn’t read twenty-three novels that provided the setup.) It just wasn’t on my radar at all—which in retrospect is odd, as I’d known one of the editors there for a long time. But still, when this email appeared in my in-box, it was out of the clear blue sky. And I was SO PSYCHED. Lost Stars is my favorite Star Wars book – and I have heard from many people that it’s their favorite as well. What do you think about that book captured readers so much? I’m so glad you’ve enjoyed Lost Stars, and the fandom reaction as a whole has been both incredibly heartening and surprising. Maybe having original characters at the heart of the story allowed more people to imagine how they would’ve perceived it all, if they had been there. And it’s fun to ask what average people knew and thought during the war against the Empire—the people who don’t have the perspective of the big heroes. Also, Star Wars and romance go very, very well together. Really there’s so much room to tell love stories here that have real significance and meaning. Some people who felt burned by Anakin & Padmé’s limp courtship in the prequels maybe were brought back around to romance by Lost Stars? In the end, I don’t know exactly—but all that matters is that people have enjoyed it. Do you think there will be more stories about Ciena and Thane? I very much believe we’ll learn more of Thane and Ciena’s story someday. But I still don’t know when. You’ve written two books that are very Leia-centric (Bloodline and Leia, Princess of Alderaan). Was either of those books more challenging for you to write? Do you have favorite sections from either of those books? Princess of Alderaan was the more challenging book, for reasons that had nothing to do with the story. Basically, Star Wars deadlines are very tight, and I got extremely sick during the months I had to write LPOA. The illness wasn’t anything dangerous or scary, but I was really laid flat. Everyone at Lucasfilm was great, and worked hard to give me more time, but it still put a lot of pressure on the process. My favorite elements of both books? 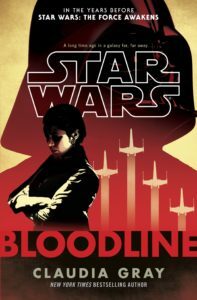 With Bloodline, I really enjoyed writing Ransolm Casterfo, and his friendship with Leia. With LPOA, it was getting to write so much about Leia’s mother, Breha—who, despite being a really important figure in the overall scheme of things, had never had much written about her. So I got a chance to really create something there, and show the role she might’ve played in the early Rebellion. Since you have written several series of books (Evernight, Spellcaster, Firebird) would you be interested in writing a Star Wars series of books in the future? It would definitely be fun to write a Star Wars series! But that would be something that would have to come from Lucasfilm—they know everything that’s coming up the next few years, and I don’t. Plotting a series requires thinking a lot further into the “future” of the series. You talked openly about your desire to write a book about Obi-Wan Kenobi and Qui-Gon Jinn – I’m curious about how soon after that statement did Master & Apprentice become a reality? 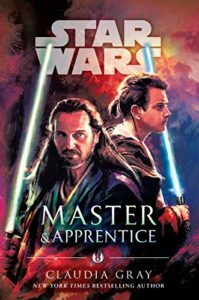 What appeals to you about Kenobi and Qui-Gon and where are you at in the writing process for this book? Oh, I started mentioning Qui-Gon as soon as it became clear they’d like me to write more than one Star Wars book. He’s always been a favorite character. So either they thought I was the right candidate to write that novel when it finally came along…or they knew I’d hunt down anybody else they gave it to. (I kid.) Qui-Gon has always intrigued me because he’s both a true Jedi of the old Republic—someone who has lived in this era of peace and justice—and yet, among the Jedi, he’s also something of a maverick. He also has a touch of the mystic about him, the way Yoda did—and that’s an element of the Jedi that I’ve always wanted to see explored more. And who wouldn’t want to learn about a young Obi-Wan Kenobi? I’m done writing the book, and we’ve gone through primary edits. It won’t be coming out in February, as we originally hoped, but it won’t be long. 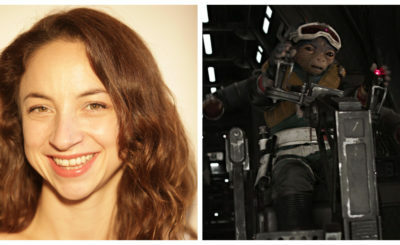 I know you probably can’t answer this right now, but is Satine Kryze going to make any kind of appearance in Master & Apprentice? You’re right—I can’t answer that one. If you could pick a character that would be the focus for the next Star Wars standalone film what would that character be and in what time period? Oooh, there are so many. I’m still hoping Kenobi will happen, either as a film or a tv project; Obi-Wan is a huge favorite of mine, and I’d like to see what Ewan McGregor brought to the part all these years later. For fans that have only read your Star Wars stories is there a book (or series) of yours you feel like is the most obvious to recommend? Well, it depends on what they like. If they’re into parallel dimensions/high stakes romance, then they should try the Firebird series that starts with A Thousand Pieces of You. If they’re more into space opera and artificial intelligence, they ought to pick up Defy the Stars. Honestly, that’s the single greatest compliment, for me—hearing that someone liked my SW stuff enough to check out my original work. Are there other upcoming projects besides Master & Apprentice you can talk about? Not in terms of Star Wars. I’m working on my first graphic novel—but it’s something else entirely. 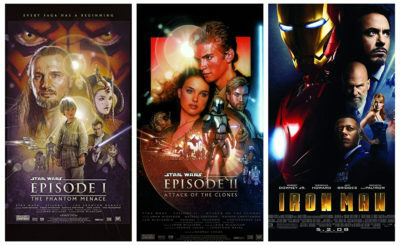 As a fan of Star Wars what are you looking forward to the most in 2019 – the new season of The Clone Wars, The Mandalorian, or Episode IX? And for your pick if you could have a cameo in that production what would it be. Oh, Episode IX, for sure. Though really I’ll be checking out all of it! If I could have a cameo, I guess I’d like to be in a cantina, sipping on something weird, waving hi to Maz or Rose or whoever else walks by.